These in-ear headphones come in a variety of colours and have a very reasonable audio quality but that is not what has made them my day to day choice. It is the shear attention to detail and convenience which has meant these have become my go to guys when out for a walk or down the gym. 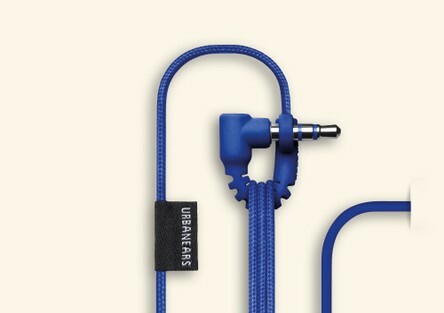 What is really clever about these is the thought that has gone into how people use headphones. For example I will often need to take my headphones out to hold a conversation. With conventional phones this means either putting them away in a pocket or levying the cable dangling with inherent risks - what usually happens with me is I put them down running the other inherent risk of not picking them up. again. These phones neatly clip together allowing you to loop them behind your head when not in use - I truly love this patented feature and it makes me confident that I am unlikely to lose these headphones. When you do want to put them away a clever tag on the cable enables the audio jack to be clipped in forming a loop round the cable locking it in place. No cable tangles. Not that the cable is prone to tangles - the material it is made of seems to inherently avoid such things. 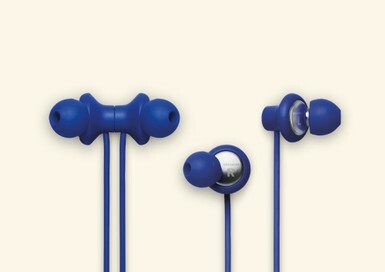 They also stay in your ear very well with as light twist to fit approach. I’ve never been able to dislodge them down the gym. Of course this convenience would not be useful if the phones were not pleasant to listen to. These are far more than just pleasant putting a whole lot of in-ear phones in their price range to shame and they certainly blow most stock earphones issued with mobile phones out the water. There is some small loss of detail in the midrange compared to high-end competitors and their bass response is not going to blow you away but there is an eminent musicality to them which just makes them a joy to listen to. Soundstage is good and is clearly focussed across the frequency range with no drift form ear to ear. Whilst the soundstage is not as extensive as you would get with an over the ear pair it is certainly acceptable for day to day listening. Build quality was excellent and I had no sense that the phones themselves were introducing any form of vibration or distortion. Indeed distortion of any kind was at a minimum which added to the clarity especially in the highs - these could never be reproached for being tinny. Comfort was good as well and these are no problem to wear for extensive periods. Comfortable, uniquely convenient with really good sound quality and they won’t break the bank to replace should you lose them - what more could you want in a day to day headphone pair.